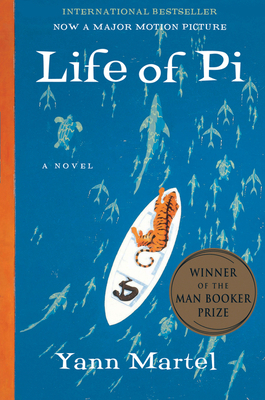 An unexpected modern fantasy adventure in 100 chapters, Life of Pi recounts the story of Pi Patel, an Indian boy who finds himself the sole human survivor of a cargo ship's sinking at the age of 16 and, after 227 days, back on land. He spent those 227 days out at sea, and by the end of the novel he provides two different explanations for how things went. The main story of the two, of course, is one where he shares a lifeboat with a zebra, orangutan, hyena, and adult Royal Bengal Tiger. But mostly the tiger. I picked up this book for two reasons. First, I'd heard good things about it across the board, so I was already curious. And second, the film adaptation hits theaters on November 21, which pushed my curiosity forward faster. You see, I prefer to read the source material before I see any adaptations. Life of Pi is separated into three parts. The first part takes place after the story, so to speak. 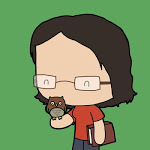 The author mixes some fact and fiction in talking about his hunt for a good story, until someone sits down at a cafe with him and says he's got a story that will "make him believe in God." The author listens, and then goes to Canada to look up the "real" Pi Patel and get the full story from him. The book is written in Pi's first-person perspective, for the most part, which for me was confusing at first: I had thought this was a work of creative nonfiction, but later looked it up to find the story is fiction while many of the points made are not (i.e. the "creative" part being an animal re-telling of the true story). By the time you get to the second part of the book, you've met Pi Patel and learned about his early life in Pondicherry, and he's set off on a cargo ship with his family and a bunch of animals bound for Canada. The ship sinks, and Pi is the only human to survive. His story is told with animals: a zebra, orangutan, hyena and tiger, and after a few days, having eaten the others, just the Pi and the tiger. Pi decides the best course of action would be to train and tame the tiger (which was called Richard Parker), for not just his survival, but both of theirs. The section ends when he reaches land, and the story presumably concludes there. There is the matter of the third section though, in which Pi recounts his meeting with two Japanese officials from the company the cargo ship belonged to. He tells them his story with the animals, and they refuse to believe it. When they ask for the less fantastical, more factual story, Pi gives them one that is essentially the same, except with humans. The ending is ambiguous enough as to give you, the reader, a choice in which story you'd want to believe. I would also like to mention that the officials were dubious as to Pi's insistence that the crew's negligence led to the ship sinking, and I was reminded of parts of Moby-Duck, in which Donovan Hohn explains many cargo ship sinkings happen and are hardly reported or investigated. On the surface level, Life of Pi is a fantastic story. It keeps you at the edge of your seat and blends the extremely improbable circumstances with bits of reality. You learn about zoos, animal training, animal relationships, survival on the ocean, real historical events from the time the book is set, and more. Then there's an additional layer that involves religion and spirituality, given that Pi has openly embraced Hinduism, Islam, and Christianity. If you're familiar with them and some of the stories derived from those beliefs, you'll definitely be able to draw some parallels between Life of Pi and religious tales and myths. Pi's story doesn't necessarily compel me to believe in God now that I've read it, but Pi's fierce will to survive in combination with his faith and practical know-how made for a compelling read. I am now much more excited to check out the movie adaptation when it's released, and I can't recommend this book enough for lovers of adventure stories. While I did mention there are religious themes and aspects to the book, and one could argue the book is religious, you don't need to be religious to enjoy this vivid tale of survival -- just have an active and open imagination. Buy Life of Pi by Yann Martel in Paperback for the low price of 10.98. Find this product in Fiction > Action & Adventure.